3- You can adjust the distance with how you feel, you can hike 4 km round trip or 7 km or more. 4- If you do the traverse you can make it into a loop. This hike is in Kananaskis Country right after Barrier Lake on the Highway 40 South. The trailhead is 10,8 km after you first enter the Highway 40 S. There is a pullout parking on your left if it's full you can also park about 100m further on your right. If you park further you will have to walk back to the first parking lot, the trailhead starts there and there is 2 trails as you can do a loop. I suggested you do the trail on the left side of the creek. This is what most people do. I recommend you check the grooming conditions on Parks Canada before heading out! What most people do is the classic Baldy Pass it is 4km round trip pretty easy that will bring you to 1990m elevation. You can continue after to do Baldy Peak. You will have a little bit more of a scramble involved if you continue. 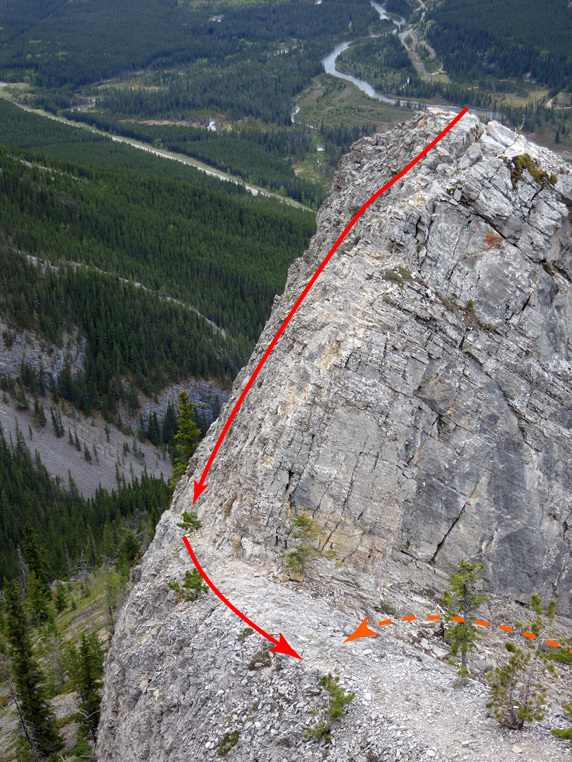 You will pass the first crux ( I attached a photo if you click on the crux). You will have to go carefully down, it can be a little bit scary because you are on the edge of a cliff. After you get to Mount Baldy there is also the possibility to continue on the ridge and do the loop to South Baldy. It is challenging to find the route. The photo after the map, is the most difficult part of the hike. We decided to go down on the the right side of the photo, after you will go a little more uphill to get back to the trail of the Traverse. This part is a little easier than the crux. You can continue your journey to the West Baldy side, (7km round trip) we didn't make it there as it was still snowy but apparently you can get the best view from that summit.